The Writer in Residence program continues! Check out the events page for dates of workshops, conversations, presentations, etc. While the one-on-one consults are full up, there is a waiting list you can put your name on if spots free up! The following new events have just been added! All content, all the time! More detailed and registration info HERE. And finally… join me and the amazing Liz Howard for the 2019 W.O. Mitchell Writers’ retreat. Time to head out into the forest and work feverishly at our computers/notebooks whilst simultaneously absorbing the wonders of nature and ignoring them to live in our heads! Adventure beckons! More info and registration HERE. Well… the Alexandra Writers’ Centre Society Writer in Residence 2019 launch was a suitable bout of mayhem and Mixed Martial Artistry readings. A special thanks for the amazing PJ Verno n (and Barry), the illustrious M. Jane Colette, and the fantabulous outgoing WIR of unarguable distinction, Sarah L. Johnson, for putting on such a show! Also a tip of the hat to the bribable judges, the ref who kept the bloodshed to a minimum, and the announcer for announcing all announcements in such an announcerly fashion. 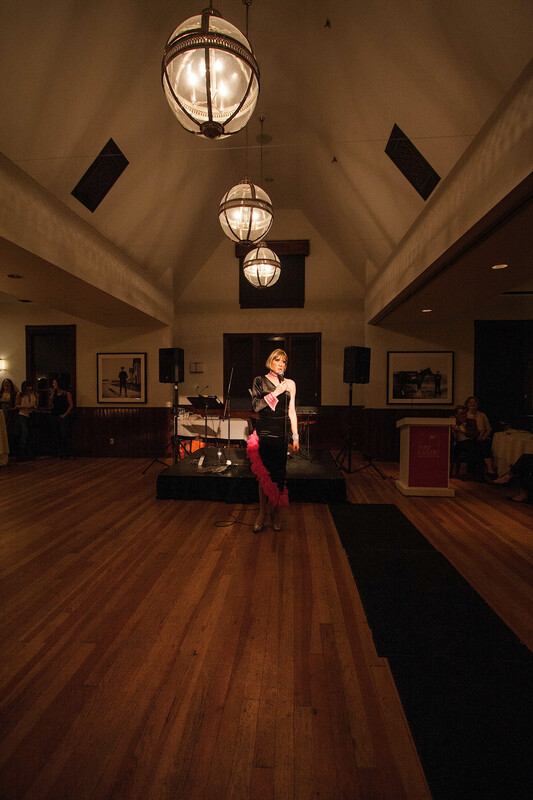 For WIR events and services, between now and the end of May, check out the AWCS page HERE. Sign up for some workshops, have a manuscript consultation, pop in for one of the casual BS Sessions, in which we can chat about whatever you want to chat about! March 1, 2019 is fight night at the C-Space Treehouse! 7-9pm. Join PJ Vernon, M. Jane Colette, Sarah L. Johnson, and myself for a Mixed Martial Artistry cage match! We will each be competing with short fiction, creative non fiction, and poetry readings. Four writers enter, one writer leaves. Words, blood, and a little bit of self-respect will be spilled! Happy New Year! And it is! I am thrilled to be chosen as the Alexandra Writers’ Centre Society Writer in Residence for 2019. My residency takes place at the Centre in the funky new C-Space building in Marda Loop. It will involve manuscript consultations, readings, one-on-one and group gabs about authorial things, as well as a bunch of workshops. One of the main functions of a writer in residence is to give you honest and sound advice on your works-in-progress and encouragement to keep going. When you book a consultation you can expect to receive just that. Notes on what’s working, what’s not and suggestions moving forward. Don’t have anything to submit? That’s okay, too. Feel free to book a consultation to chat. Get advice on the publishing process, creative process and so much more. Do pop over to the Alexandra Writers’ Centre Society page to check out all the events, the workshops, and to book time for a consultation. If you’re not a member, what are you waiting for? Check it all out HERE. To check out the events page, click HERE. To book a manuscript consultation, click HERE. The Alexandra Writers’ Centre Society is hosting the following workshop on Saturday, October 20th… for anyone interested in attending! There are still a few spots left, so if you’d like to join us for a fantastic workshop, check out the details below! The Centre is an amazing resource for writers and they run a ton of other wonderful classes as well. You’ve written “The End” on your novel and the celebratory hangover has waned, leaving only one question… what now? This workshop will cover the ins and outs of writing your query letter, the dreaded synopsis, and where to go from there! Bring your editing pencil, in this workshop we will write, rewrite, and rewrite your query letter and synopsis again (and again… until it’s ready to go). Then we’ll talk about where to go from there! More info and registration HERE. An inspirational style and structure workshop for short and long form prose. Whether you’re stuck on a project, starting a new one, or just looking for a different angle to tell a story from, there’s a lot that can be done by restricting your writing. Prose is made up of tens of different functional tools and nearly unlimited structural ones, which can muddy the works as much as make for a beautiful piece of writing. This workshop will push you to write your wonders with fewer tools than are typically at your disposal in hopes of working on your authorial weak spots and exhausting your creative muscles. More info and registration HERE. Want to get some words? Working on Nanowrimo? Join your fellow writers on this intensive, two day workshop… the goal? Words. Wear your comfy writing pants, it’s a big goal and we’re all in it for the long haul. Each day will hold plenty of independent writing time in a creative environment, some short intensive lessons on various aspects of novel writing, a bit of workshopping, and friendly and inspirational competition to drive your creative juices. Bradley Somer will be there with you, helping out if you get stuck, and ready for any writerly chats needed to help your craft. Nourishment provided throughout the weekend. More info and registration HERE. We all know about pacing ourselves, and the potential negative outcomes if we don’t. Pacing scenes is no different. This workshop will walk through the nuts and bolts of pacing from what drives it, how to break pacing down into its fundamental components, and how to build a tighter scene back up again. There will be some exercises to test what you learn and you can even bring that “trouble spot” in your own work to focus on. More info and registration HERE. Happy New Year! Best wishes to all for a happy, healthy, and adventurous new year! And if you’re an artist in Alberta, what better way to get on the right track for the year than to apply to be a Lieutenant Governor of Alberta Emerging Artist. Basically, this fantastic award strives to bring awareness to the work of Alberta Artists in all their disciplines. I had the honour of receiving this award last year for my writing. In addition to attending the award ceremony, the press coverage associated with the prize, and the financial assistance (which afforded me the time to further pursue my writing), the biggest thrill was to meet and have a chance to hang out with fellow recipients. The Lieutenant Governor of Alberta Emerging Artists award is an amazing showcase for all Alberta Arts, visual arts, music, performance arts… and of course, the writers. Check out The Lieutenant Governor of Alberta’s Arts Award page HERE. Apply to be a Lieutenant Governor of Alberta Emerging Artist HERE. Here’s a grand event that you may want to pop out and join for the evening! There’s beer. There’s books. What could be better? Below is the who, what, when, where, of the festivities! Please join The Writers’ Guild of Alberta for Calgary’s 2nd annual Beer & Literary Pairings in celebration of Alberta Beer Week! Five local authors’ work will be paired to five local microbrews and guests will be invited to sample the beer that compliments the literature. Featured authors include Ali Bryan, Suzette Mayr, Bradley Somer, Nikki Reimer and Andrew Wedderburn. Light snacks will be served and wine available for guests who prefer wine. Confirmed breweries include Village Brewery (Calgary), Blindman Brewing (Lacombe), Trouble Monk Brewery (Red Deer) and MH Brew Co (Medicine Hat). Get more info about the event HERE. I have the distinct pleasure of being selected as one of the Writers in Residence for the Writers’ Guild of Alberta Banff Centre Retreat, running from February 2nd through February 11th, 2018. This is an amazing program that I have attended in the past as a participant. 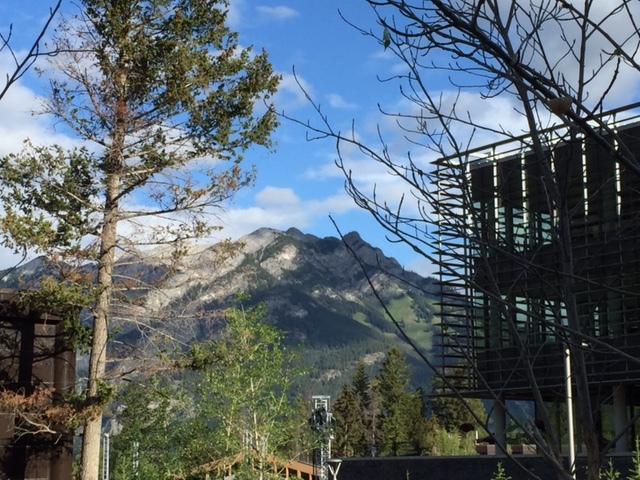 I found the Banff Centre, the opportunity for designated writing time, the friends I’ve made through this program, and the opportunities afforded by the one-on-one consultations with the writers in residence, to be very helpful in my writing life. If you haven’t had the opportunity to check out The Banff Centre, it is truly unique place that works as an amazing hub for artists of all stripes. The Writers’ Guild of Alberta retreat is a wonderful opportunity to work on your current project, get inspired to start something new, get to know fellow artists, and generally focus on improving your skills. 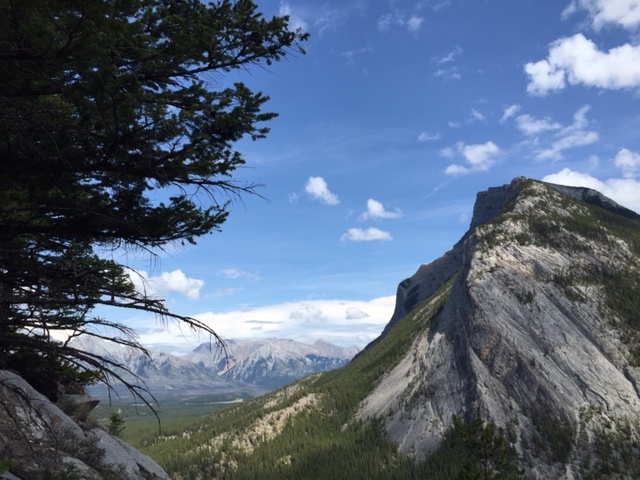 The links below will direct you to websites that offer more information about the program (and how to register), the Banff Centre, and my fellow Writer in Residence, the amazing Lee Kvern. Take a peek and I hope we’ll see you on the mountain in February! Check out more about the Writer’s Guild of Alberta Banff Retreat (and registration) HERE. Check out more about The Banff Centre HERE. Meet fellow Writer in Residence, Lee Kvern, HERE. Copperfield’s Books have included Fishbowl in their recent article on their top recommended books in the San Francisco Chronicle… check out all their recommendations HERE. If you live in the bay area, go and check out Copperfield’s, it’s a gorgeous shop. Still getting used to typing 2017 whenever I need to type in the date… anyhow… after a lovely holiday down under, I am back to work. Pecking away at the keyboard and scratching away in the notebook on several new projects is a great feeling. Also, I recently received a note from the fine folks at Audible.com (where Fishbowl is tearing up their charts… try a copy HERE). Audible.com has done an outstanding job in producing and getting the word out there on the audio version of Fishbowl. The note they sent was to say that Jaquo Magazine did a full review of the fine job Peter Berkrot did on narration and what a lovely listening experience Fishbowl is in general. Check out Jaquo’s website and all that wonderfulness HERE. The wonderful folks at Audible.com have hit up Fishbowl as their pick of the month and there’s also a deal for anyone wanting to listen to the fine work Peter did narrating the book. Check out the following links to see what is up and listen to Fishbowl on a plane, train or in an automobile! Happy halloween to those who will be safely dressing up and hitting the dark night tonight in search of candy! A few weeks back, St. Martin’s Press forward on a few copies of the Korean translation of Fishbowl. It’s a really fun treatment with a slip cover that’s glossy in all the right places and colourful in all the other right places… here it is! As if that wasn’t enough, the North American paperback is launching tomorrow… it’s already shown up in the November Costco catalogue for Canada, so keep your eye out there and who knows where else you’ll see it. The cover has been revamped, re-font-ed, and recoloured in a dashing pale blue for the new edition as well. Looking good! And last, but not least, Monday next week (November 7th, 5:30-10pm), I’ll be joining a panel of amazing local authors for the WGA Giller Lite Bash at Wurst in Calgary. We’ll be discussing the short list, having a few beers and watching the Giller ceremony with all who attend. Tickets and more information can be found HERE. Fall has settled in nicely on this side of the globe. My favourite season. The mornings are bracing and fresh, the trees have all turned yellow, the days are shorter, and life just seems to settle in a little from the mayhem of summer. And, the fall books come out… of course! Another humble recommendation for a spectacular fall read has just been released. One of the (many) joys of writing is that I get sent bunches of books, months before they hit the shelves and there’s still some little kid part of me that thrills over this ripple in time. A few months back I had the pleasure of reading Emily Saso’s debut, The Weather Inside, and was suitably blown away. The writing is crisp and original. I haven’t encountered anything that delves as ably into the difference between love and faith, and why there are different words for each. It truly is a multilayered read. If that sounds like something you’d be into, pick up a copy of Emily’s book and I hope you enjoy! Well, summer has passed and here we are back to Fall, back to work, back to school and back to it all. I hope everyone had a spectacular summer! There are two new books out this month that I had the pleasure of reading early copies of. One is entitled The Invisible Life of Ivan Isaenko by Scott Stambach and the other is The Life of the World to Come by Dan Cluchey. Both spectacular debuts by authors you’ll be seeing more of, I’m sure. If you get the chance and are looking for something new and a little different, I humbly recommend taking a peek at these two great titles. New covers are always so fun! Here are two that have recently crossed my e-mail box. Take a peek at the Polish edition of Fishbowl, set to hit the racks at the beginning of next month. Welcome aboard Poland! Also, here’s the updated cover for the North American paperback, set to be released in November this year! Over the weekend I had the pleasure of attending the Alberta Literary Awards gala. It is truly a wonder, witnessing the vibrancy of the literary arts scene in this province. I was also honoured to be chosen as the recipient for the Georges Bugnet Award for Fiction for Fishbowl. This award was graciously sponsored by The Banff Centre and the outstanding event was organized by the Writer’s Guild of Alberta, both vital institutions in this province and country. Check out the Calgary Herald coverage of the event HERE. In other news… here is an interview I did with Stephanie Raddatz for CTV for Alberta Primetime. Stephanie was such a kind and professional journalist, it made the jitters I get when talking to a camera almost bearable. Check out the interview HERE. Well now, here’s some exciting news… I’m honoured to be one of ten artists awarded the Lieutenant Governor General’s Award for Emerging Artist! I’m looking forward to meeting The Foundation’s patron, Her Honour, the Honourable Lois Mitchell, CM, AOE, Lieutenant Governor of Alberta, at a private ceremony at Government House in Edmonton June 13, 2016. I’ll be wearing my medal for months afterward! Check out all of the recipients HERE. Also, if you’re in Calgary this evening, swing by the Rose and Crown Pub on 17th Avenue SW to see a bunch of the Alberta Literary Award authors read from their shortlisted works. And have a pint, of course. This event is graciously organized by the Alberta Writer’s Guild, and should be a ton of fun! More details HERE. based authors and, with so many amazing authors working in the province, it is a real honour to be included n the shortlist. Check out all the categories and books up for awards HERE. Pick up copies of anything that catches your eye and read something local that will surely blow your mind! A few days back, the U.K. launched the paperback version of Fishbowl! It’s now out there in the world as a soft and imminently caress-able paperback. The folks at Ebury did a bang-up job on creating a gorgeous new version of the book (and it will soon be available at Tesco shops as well). Check out the new cover below! I’m also thrilled that Fishbowl is one of the WHSmith titles for their Fresh Voices 2016 promotion. It’s an honour to have Fishbowl included with so many fine books, so look for the special display in all WHSmith stores, tube stations, and airports! Pick up a copy… it’s not a bad read, if I do say so myself. Check out all the titles in the Fresh Voices 2016 promotion HERE. It’s awards time again in Alberta and I am thrilled that Fishbowl has been included in the long list for the EPL Alberta Readers’ Choice Awards for 2016! There is a schwack of wonderful books by Albertan authors every year and it’s an absolute honour to be included in the Alberta Readers’ Choice Awards list! The short list is announced is a month so… fingers crossed! Check out the full long list HERE and pop by your local public library to get your hands on any of them! New covers are always an awesome thing! In preparation for the upcoming (Fall, 2016) North American launch of the paperback version of Fishbowl… I was recently sent this outstanding reimagining of the cover… check it out! In other news… here’s a ton of reviews from the other side of the pond where Ian has been frolicking now for months on end. And, last but definitely not least, the Alexandra Writers’ Centre Society will be hosting yours truly to teach a ten week novel writing class. If you are in the neighbourhood and are looking for a fresh take on how to write a novel (or wondering how to tweak the one that’s sitting in the drawer) follow the link below to sign up! It will be a fun one! Novel Systems – Imagination-jacking using an agglomerative technique to build a novel. Traditional novel writing instruction focuses on dissecting and mastering the individual components used to create long form fiction. While important, the focus on how all of these parts work together to create the ecosystem of the novel can easily become lost. Novel Systems will use instruction, exercises and work shopping to illuminate the major interactions of the novel writer’s toolkit. It will also focus on how they are stitched together to create an immersive writing (and reading) experience by examining points like: how character can be plot, how place can be used to develop character, or how narrative style can act as theme. More details under “10 week courses” on the AWCS website HERE. First off… Happy New Year! It’s funny, the idea of a specific time marker erasing the old and ushering in the new, but it’s also such an invigorating exercise in hope and positivity. I always look forward to it. Nobody makes a negative New Year’s resolution so, up, up, up! Fishbowl made it onto The San Diego Union Tribune list of Best Books of 2015 which is blush-inducingly wonderful. Check out the full list of books HERE. In the U.K., the wonderful crew at Ebury has ushered the mass market paperback version of Fishbowl into the world and, closer to home, the Penticton Western News says, “Ian is a fish who has longed for adventure, and seizes his moment when it comes. The many lives he witnesses as he freefalls intersect in the most unusual ways. You may not love the way it ends for each of them. But for a quick journey – albeit longer than Ian’s last adventure – Fishbowl is a trip worth taking.” You can check out that full review HERE. Okay… that’s the update for now. I’m off to put my nose to the keyboard. Two new manuscripts to finish up! Well, it’s that time of year again. The temperature has fallen and a lovely layer of snow has settled in over the city. Soon we will bid farewell to 2015 and I’m looking forward to an awesome 2016. 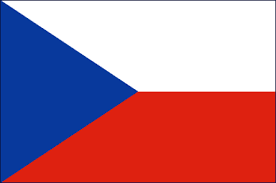 First off, welcome aboard to the Czech Republic. Fishbowl has been released and the initial response is lovely… just like the regional cover! Check it out! Secondly, if you missed the chat on CBC Radio where the incomparable Angie Abdou gives a review of Fishbowl, you check it out HERE. Finally, thanks to the mysterious KJC from Seattle for the card and the kind words. You made my week! And, to everyone, Happy Holidays. Stay safe and warm and best wishes for nothing but happiness in the New Year! Well, it was a fantastic week of visits, presentations, session and laughs at the Vancouver International Festival of Words. Hats off the the amazing audiences (so many stimulating questions! ), the wonderful volunteers (so many enthusiastic, happy faces), and the astute organizers (so many good memories and new friends) for a phenomenal festival. If you haven’t had the pleasure of participating in this one… I highly recommend you do! If you only have room for one festival in the budget… this should be the one! You won’t be disappointed. What’s next? Book launch, done. Festivals, check. Bookstore readings, yup. I guess I have to get back to work putting some words on the page! Good news is, there’s another complete manuscript floating around out there. And there’s another one that’s over halfway completed. And I just started another one because working on two books seems to be the way to go! 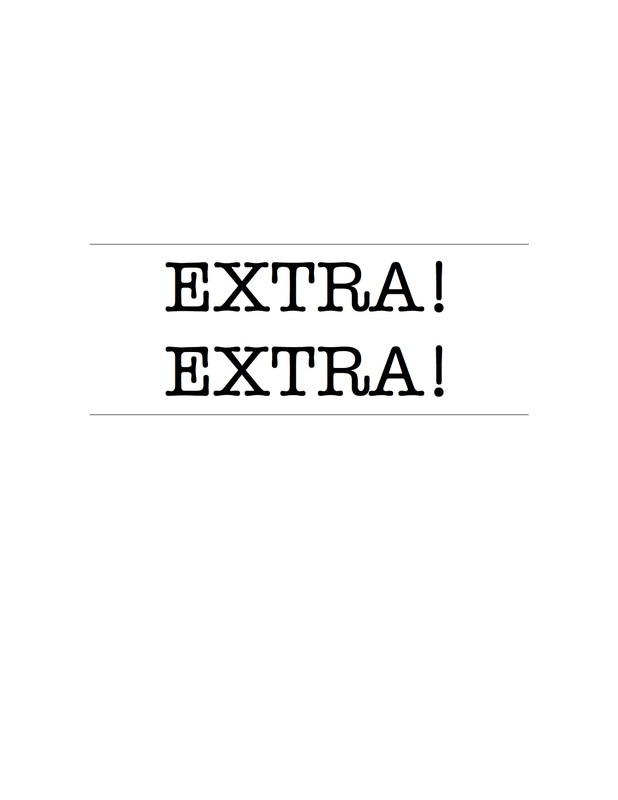 In the meantime… reviews and interviews! Pick up the latest edition of Alberta Views Magazine and your local book store for an insightful review of Fishbowl. The amazing Samantha Warwick presents a thoughtful review “… Somer has written a provocative, cleverly structured and contemporary story complete with astute social commentary, compelling characters, interesting bits about quantum physics — and a sense of what it might feel like to be a wide-eyed goldfish corkscrewing through the air on an inadvertently suicidal high dive.” You can also check the magazine out online HERE. What fun the Calgary WordFest was! I had a few great sessions, attended many others as an audience member and got to see some of my all time favourite authors. A big hats off to the volunteers and organizers for a fantastic time. What/When/Where: Author event “Dwelling (On) Place” / Saturday, October 24, 2015. 10:30am, Improv Centre, Granville Island, Vancouver. Hosted by: Annabel Lyon – Tending to his new post as undermajordomo at Castle Von Aux, the protagonist of Patrick deWitt’s novel discovers the place harbours dark secrets. 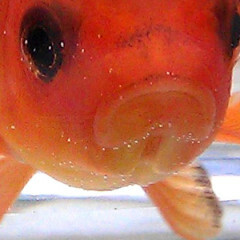 “There was something about the ballroom,” says one of his characters, “that had always bothered her.” Bradley Somer sets his novel, Fishbowl, in an unremarkable apartment building where, in the span of 30 minutes, a goldfish tumbling from a balcony on the 27th floor is privy to stories of love, new life, death and ugly truths about the residents on the other side of the walls. Max Gate, the house that novelist Thomas Hardy built, is also the title of Damien Wilkins’ novel. “The house was really about secrets and disguises and that provided a rich, emotional world,” says Wilkins. If only these walls could talk! What/When/Where: Author event “The Afternoon Tea” / Sunday, October 25, 2015. 3:30pm, Performance Works, Granville Island, Vancouver – Hosted by: Paul Grant. Raise your pinkies for our final event of the Festival this year—an Afternoon Tea replete with scones and Devonshire cream. And, of course, stories! Stories funny and sad, poems from the irrepressible Bill Richardson, a story that pits the brain against the heart from Trevor Cole, from a goldfish’s perspective by Bradley Somer, from Iceland in 1830 by Australian Hannah Kent, a post-apocalyptic story from Laura van den Berg and a story about self-discovery from Marina Endicott. 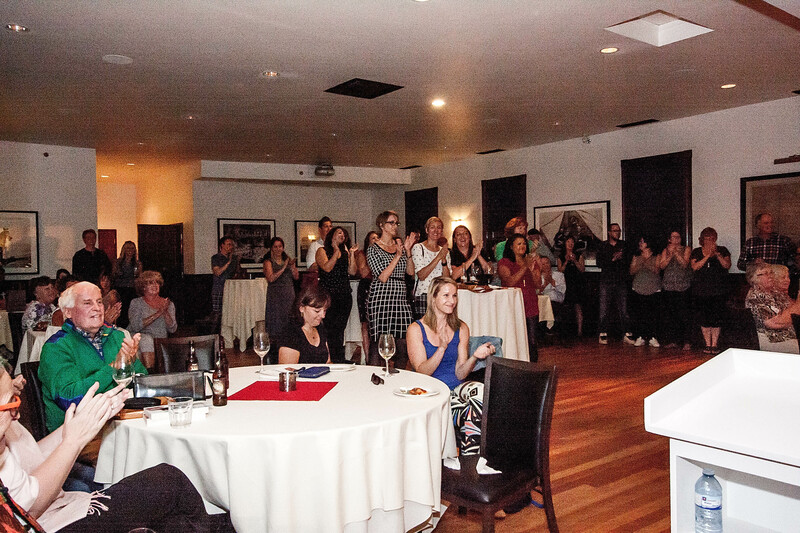 Finish the 2015 Vancouver Writers Fest in grand style, in the company of enthusiastic readers and eloquent writers. What a perfect way to spend a Sunday afternoon. Check out the full line up and get your tickets HERE! And in other news… reviews and interviews! If you can’t find that, go to the always enlightening Rumpus website to read an interview I did with the award-winning, absolutely fantastic Jody Smiling. We blabbed about Fishbowl, writing stuff, and golden thongs. Check that out HERE. And last, but by no means least, I did an interview with CJSW’s Emily Ursuliak for their show Writer’s block. We blabbed about Fishbowl, writing stuff, and sparkly vampires. Download Episode #2… subscribe to the show… listen to that HERE. Well, October is always a busy month with so many outstanding literary festivals going on across the country. First up is WordFest in Calgary. I’ll be presenting at the events listed below so check those out and get your tickets early through the WordFest website HERE! What/When/Where: Author event “For the Love of Animals”/ Wednesday, October 14, 2015. 7:00-8:15pm, Arts Commons, Big Secret Theatre 205 8th Ave SE, Calgary – Imagine what would happen if dogs thought, felt and talked like humans. Or imagine a character drama, set in an apartment building, told from the perspective of a goldfish. Or imagine how you’d choose your own adventure as the feline protagonist in a pick-a-plot book. Or just imagine if canines could cure cancer. A must-see for animal lovers. Sponsored by SWERVE Magazine. 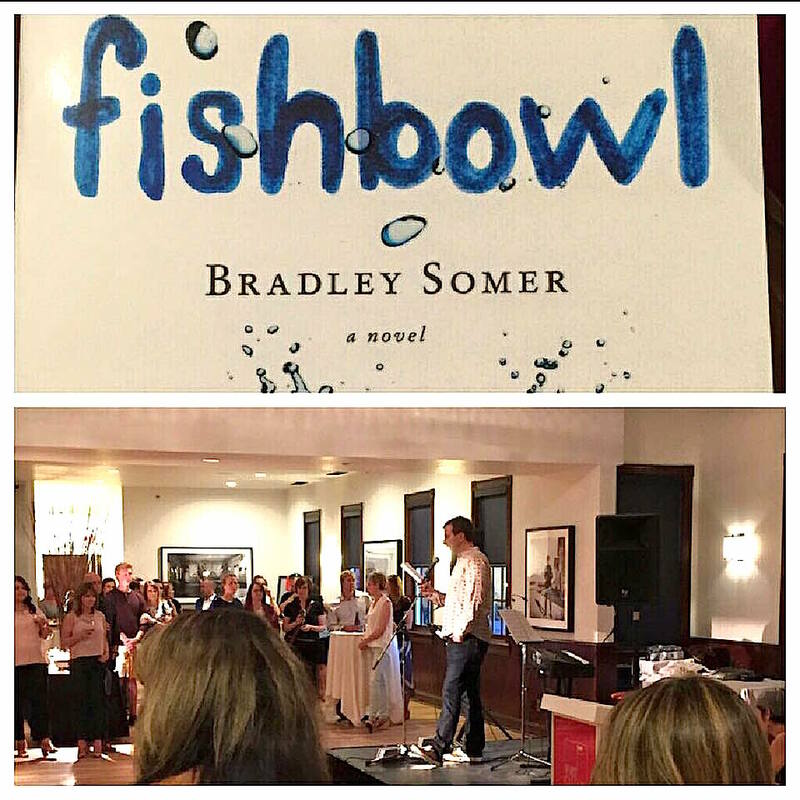 What/When/Where: Author event “WGA and Wordfest present: Fishbowl (The Writing Life) With Bradley Somer/ Friday, October 16, 2015. 5:00-6:15pm, Motel at Arts Commons, 205 8th Ave SE, Calgary – Samantha Warwick will guide a conversation with author Bradley Somer about his new novel, Fishbowl. They will discuss the writing life and process, what it means to “build a platform,” marketing, agents, publishing, and book promotion—regional, national and international. Sponsored by The Writer’s Guild of Alberta. Also, check out this great review of Fishbowl from Jaquo Lifestyle Magazine. “Ian is an adventurous goldfish and one day he leaps out of his bowl ……. wait! Don’t click away. I don’t read novels about goldfish either (as a general rule) but if you stop reading now, you could miss finding out about a novel that is without doubt one of the best I’ve read this year… So. If you’re looking to read a book that’s funny, slightly raunchy, delightfully entertaining and exceptionally wise, then this is for you.” Read the full review HERE. And finally, the kind folks at Audible.com have released the first chapter of Fishbowl for a free listen. If you’re aurally inclined, do check that out HERE. Or just purchase a copy for download and listen to the whole thing HERE. Also, for those of you who prefer to listen to their books… Fishbowl: the audiobook is now available for from Audible.com. The production and narration are amazing. Complete and unabridged, this wonderful audiobook is for purchase and download HERE! What/When/Where: Fishbowl Book Launch, Special Guests and Book Signing/ Saturday Sept 12, Doors open at 7:00PM, Show at 8:00 PM/Officer’s Mess, 750 – 9th Avenue SE, Calgary, AB T2G 5E1 – Get ready for a fun night of readings, special guests and book signings. It’s the Fishbowl Book Launch. Bring a friend, bring a special someone or just bring yourself (… we did have a marriage come out of the last book launch… just sayin’). Upstairs at the Officer’s Mess in historic Ft. Calgary. Parking available on site, on 7th Street or just across the footbridge in Inglewood. Book sales and cash bar on site! Hope to see you there! New Events! Calgary WordFest appearances. Full tickets and event details HERE. An Audiobook Update: For those of you who prefer to listen to their books… Fishbowl: the audiobook is now available for pre-order from Audible.com. Complete and unabridged, this wonderful narration will be released and available for download on September 15th… so go pre-order a copy HERE! Welcome aboard! : Great news! The book rights for Fishbowl sold in Turkey a few weeks back. Thrilled to have you aboard! I’m excited you’re here! I hope you enjoy the book! The Golden Thongs: Yep… it wasn’t clickbait (much) but I did make you wait until the end of the miscellany above… thanks for hangin’ in there. Here’s an interview I did with the wonderfully talented and award winning essayist, Jody Smiling. I visited with Jody in San Francisco at the beginning of the year for the interview and stayed for many of the cultural highlights… a visit to City Lights Bookstore, readings at a wonderful literary salon, a visit to Glide Church, a ferry to Sausalito and golden thongs viewed from the steps of city hall*. Check out the full interview HERE. *safe for work, no pictures of said garment. As the Fishbowl pub-month hangover subsides, there’s still lots going on and lots coming up. 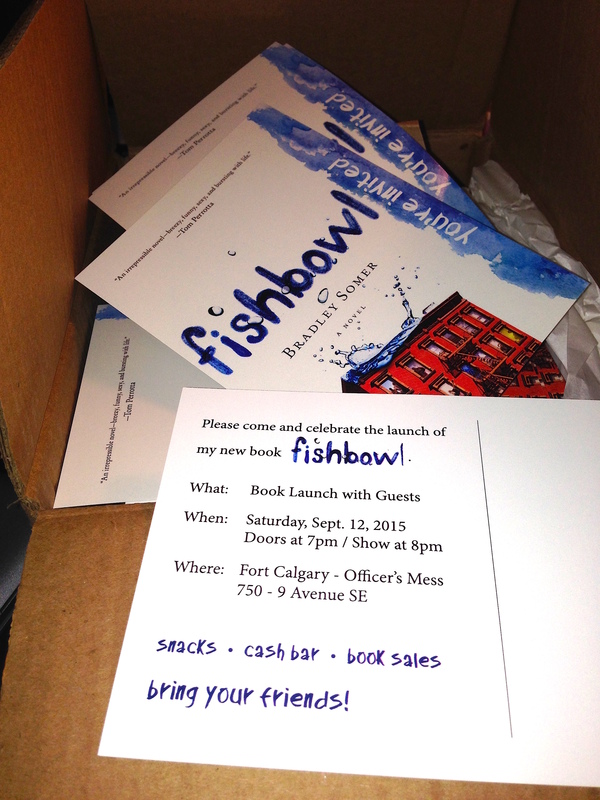 For example… the Fishbowl launch party is happening in Calgary, September 12th. Check out the Events page for details and come by for a beverage and a visit. And here’s a new event for Calgary! I’ll be appearing at Wordfest this October. The lovely Samantha Warwick (author of the gripping novel Sage Island) and I will be having a chat on stage. I’ve chatted with Sam before and usually wind up a giggling mess by the end of it, so come by and see that! Tickets and full event details available September 2nd HERE. What/When/Where: Author event “WGA and Wordfest present: Fishbowl (The Writing Life) With Bradley Somer/ Friday, October 16, 2015. 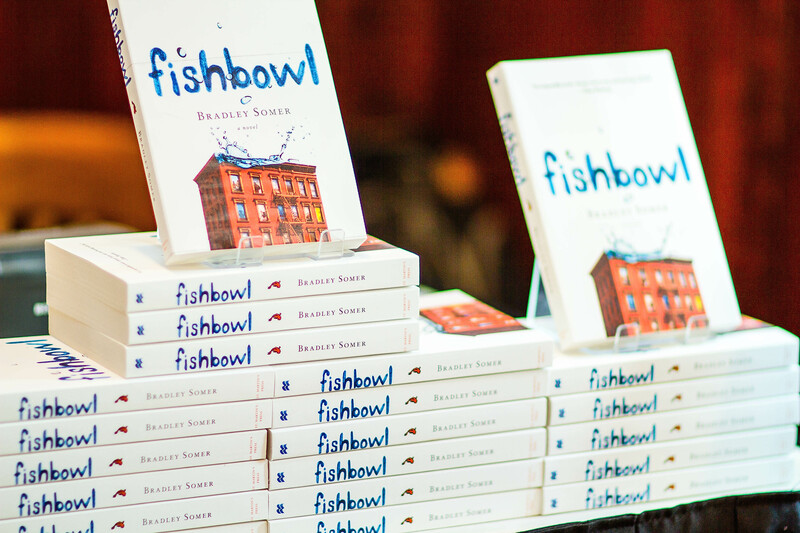 5:00-6:15pm, Motel at Arts Commons, 205 8th Ave SE, Calgary – Samantha Warwick will guide a conversation with author Bradley Somer about his new novel, Fishbowl. They will discuss the writing life and process, what it means to “build a platform,” marketing, agents, publishing, and book promotion—regional, national and international. 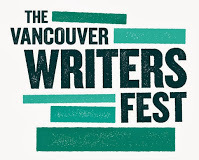 Also, I have the distinct privilege of attending the Vancouver International Writer’s Festival this year. Here’s the What/When/Where for those events… hope to see you there! And, to wrap it all up… here are a few new reviews. The Bookreporter says, “There is a delightful strangeness here, but it is tempered by the acute realism with which it is paired, making Fishbowl an entertaining, engaging and poignant read.” Read the full review HERE. The Press & Journal UK says, “Dancing from one storyline to the next ramps up the tension and Ian-the-goldfish’s plunge adds a continual line of cleverly built-up suspense. Although the novel’s internal time scale is just 30 minutes, Somer does an excellent job of sketching a collection of idiosyncratic yet widely plausible characters.” Read the full review HERE. I just got back from a “Meet the Author” event at Parnassus Books in Nashville. What a fantastic time; the hospitality was second to none, the event had standing room only and the bookstore and staff were phenomenal. Thanks to all involved in setting it up and all who attended! In other news… the Fishbowl audiobook is now available for pre-order from Audible.com. For those of you who travel, drive long distances, or are just into audio, go pre-order a copy HERE! What/When/Where: Book Launch, Special Guests and Book Signing/ Saturday Sept 12, Doors open at 7:00PM, Show at 8:00 PM/Officer’s Mess, 750 – 9th Avenue SE, Calgary, AB T2G 5E1 – Get ready for a fun night of readings, special guests and book signings. It’s the Fishbowl Book Launch. Bring a friend, bring a special someone or just bring yourself (… we did have a marriage come out of the last book launch… just sayin’.). Upstairs at the Officer’s Mess in historic Ft. Calgary. Parking available on site, on 7th Street or just across the footbridge in Inglewood. Book sales and cash bar on site! Hope to see you there! And finally… a few more reviews. The Spencer Daily Reporter says, “I loved the whimsy in Fishbowl. The characters are imaginative and bright, yet still clearly fiction. I can see bits and pieces of them around me, but I don’t know anyone that could specifically fit any of them. I liked the way Somer told the story, almost through the fourth wall, but not so obvious about it.” Read the full review HERE. The Portsmouth News says “Funny and original – if this doesn’t make you feel empathy for your fellow humans I don’t know what will.” Read the full review HERE. CultureFly says “The stories behind the characters were described with warmth, humility and always peppered with humour. Fishbowl is a unique, innovative and thought provoking story about life and about people, with all their human qualities. It’s a really refreshing read that is a perfect book to take on your summer holiday.” Read the full review HERE. And that’s all the news for the moment. Have a great week! What a fantastic pub week it was. There were loads of interviews, reviews, and chatter about Fishbowl and I couldn’t be happier with the discussion going on! The Globe and Mail says “Somer tackles loneliness, life, love and death with wit and sensitivity, and the novel’s message – that ‘no single person lives their own life; we all live each other’s together’ – is one that warrants repeating, even at a goldfish’s rate of recollection.” Read the full review HERE. The Wall Street Journal says “For all their eccentricities, these characters are united by a sense of desperation. “When they go through my belongings, they’ll find all the artifacts of a lonely man without a family,” thinks the saturnine super. The quaint lesson of Mr. Somer’s bagatelle is that people should take flight from the narrow confines of their fears and find adventure in the wider world of others. That, and get their bored fish a companion or two.” Read the full review HERE. And finally… if you are in the Nashville area on Wednesday, come by Parnassus Books for a visit… 6:30pm, details below. What/When/Where: Reading, Discussion and Book Signing/ Wednesday August 12, 6:30PM/Parnassus Books, 3900 Hillsboro Pike, Nashville, TN – Thrilled to be asked to this iconic bookstore to read, chat and sign copies of Fishbowl. I’m so looking forward to this event as I’ve heard nothing but great things about Parnassus’ reading series and about Nashville too! If you’re in the neighbourhood, come by and say “Hi.” I’ve been known to occasionally be personable and friendly. More details HERE. In the U.K., the wonderful folks at Ebury have organized a blog tour with some outstanding bloggers and talented reviewers (and there are plenty of giveaways too)… check out the sidebar on the right and follow along all this week and most of the next as different bloggers chat about Fishbowl. Follow their blogs. Follow them on twitter. There are also a bunch of new reviews and media notices including: a giveaway from The Sun HERE, a review in Women & Home (FISHBOWL in Woman & Home), one in the Daily Dosage HERE, another in Nudge Book HERE, and a whole suite of other wonderful places. Closer to home, the Toronto Star’s review by Laurie Grassi says “Fishbowl is a marvellous portrayal of the tentative — and often funny — ways human beings muddle about trying to connect with one another.” Check out her thoughtful review HERE. And then this happened… Fishbowl made it to the 20 Best Books of August on iBooks… go ahead, order a copy there through your country’s iTunes store. And finally, the book hits the shelves in real-life bookstores. Thanks for the shout out from Cafe Books in Canmore (it’s an amazing bookstore. Pop in there and say hi to Joy because she really is a joy). Also a big thanks to all the friends who have been Facebooking, Tweeting and sending pictures of all the bookstore displays around the continent. For my part, I’m enjoying a little R & R in gorgeous Revelstoke, B.C. 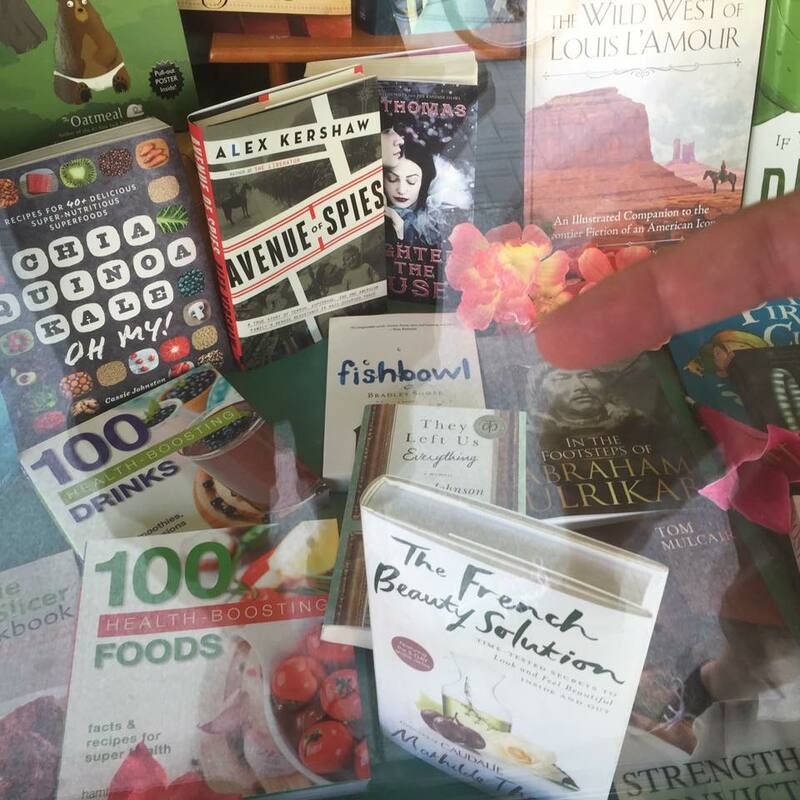 and noticed this in the local bookshop… right there in the front window… just to the left of my giant finger. What an exciting week! ONE WEEK TO NORTH AMERICAN PUB DAY!!!! Almost there! August 4th is the day Fishbowl hits the shelves, ships from the warehouses, downloads from the ether! I’m not a big fan of exclamation marks but I find myself using them a lot when writing about this! If you haven’t yet, check out the Fishbowl page HERE and preorder a copy. Just as exciting is the August 6th launch in the U.K., Australia, and New Zealand! Again, check out the appropriate order pages HERE to preorder a copy because a book without a reader is a hopeless and sad little artifact. What else… oh! There’s a buttload of events coming up… I’ll list them on this page but if you ever want to see what’s coming up, check the events page HERE. What/When/Where: Publication Day/August 4th, 2015/North America – Preorder today! What/When/Where: Publication Day/August 6th, 2015/United Kingdom + Australia + New Zealand – Preorder today! Keep an eye on the events page… more to come! Fishbowl is an August Indie Next Pick! Also… more exciting news rolling in as the Fishbowl launch date rolls ever closer. Fishbowl is one of the best summer reads as picked by easyJet Inflight magazine. Check it out HERE. And, Fishbowl is on the American Bookseller Association August Indie Next list! Check out that exciting news HERE and HERE. Ian makes it into the pages of Cosmo, a review and interview compilation. Fishbowl is one of Cosmopolitan UK Magazine’s “10 amazing books you need to read this summer”. See the full list HERE. “Somer has created well-developed characters and effectively transports the reader into their three-dimensional worlds. . . genuinely touching.” – Kirkus Reviews. Read full review HERE. “Enjoyable touches of farce and wry asides abound, underscoring moments of reckoning in eccentric, yet deeply human, dilemmas.” – Publishers Weekly. Read full review HERE. And finally… I did an interview for the Kobo Cafe in which we discussed writing and Fishbowl, and on the more confessional side of things, what shocking finds you would make on my bookshelf. Read the full interview HERE. A Push Button Pancake Maker. It’s been a little while since a post and I’ve been on the road touring around the lovely Pacific Northwest. I did manage to take and tweet a bunch of pictures of the all-encompassing gorgiosity of the area. But if you missed it, here’s a picture from Cannon Beach (where One-Eyed Willy’s phantom ship full of Goonie gold sailed in 1985, of course). And here is Jake, the alligator man (of Weekly World News fame, November 9, 1993, of course). Jake now resides in a diorama in Long Beach, which is also the home of the world’s largest frying pan. If that wasn’t enough, it’s also the home of the world’s largest chopsticks. That should be enough. And finally the finale! The hotel in Portland had this fantastic device that is new to me but apparently not all that new to the world, as my friends graciously informed me when they received my excited text messages. Push a button on this desktop photocopier-type machine and you’ll be treated to some buzzing and whirring, then… about a minute later… a hot and fluffy pancake comes out the other end. 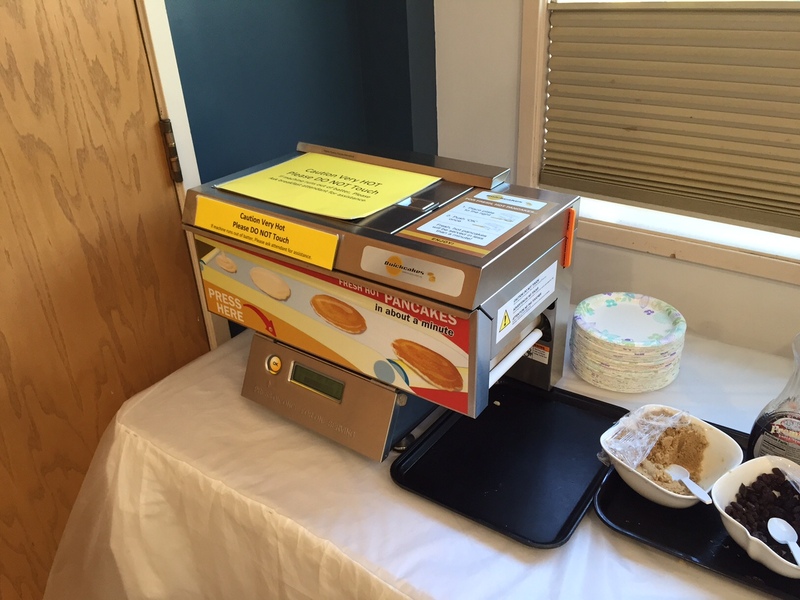 Now, I’m not a big one for pancakes but I am a big fan of this machine. On a crisp spring morning I climbed in my trusty Accord, a steaming coffee in hand. I set the stereo to shuffle my favourite playlist, turned it up and spent a gorgeous three hours driving south along the front ranges of the Rocky Mountains, through Wild Rose Country to a crossing on the longest international boundary in the world. At the border with the Land of the Free, I created great confusion with the polite and hospitable border agent by saying the purpose of my visit was to speak with a book group. You know, a group where everyone reads the same book and then they meet to discuss it. Oh! You mean a book club! Okay. How fun! Have a nice visit. Pulling from the border crossing, I turned the music up again and jetted off across the stunning plains of Lewis and Clark country, through the Land of the Shining Mountains and wound up at my destination, the Queen City of The Rockies. There I was greeted by my friend and boardee, the amazing Marianne Rencher. After a wonderful tour of the city, including some beautiful gold-rush era mansions, we attend a large, insightful and enthusiastic book groupclub. After the meeting, a few of us dined at a brothel (yep… historically a brothel though, not presently). The next day, bordees and borders alike rose at the crack of 8ish a.m. and on my way back north, I was treated to a visit at the historic Sieben ranch. It was lambing season so I had the pleasure of watching big, fat lamb drops rain down from woolly-ewe clouds in a torrent of birthing… and of seeing the day old lambs playing too, which was a lot cuter. Then it was back to the Great White North. In the six hours it took to retrace my tracks back to Cowtown, I had time to reminisce about the trip. The hospitality I encountered was second to none, the conversations I had were engaging, the brothel burger was delicious and the land I drove across was jaw-droppingly beautiful. 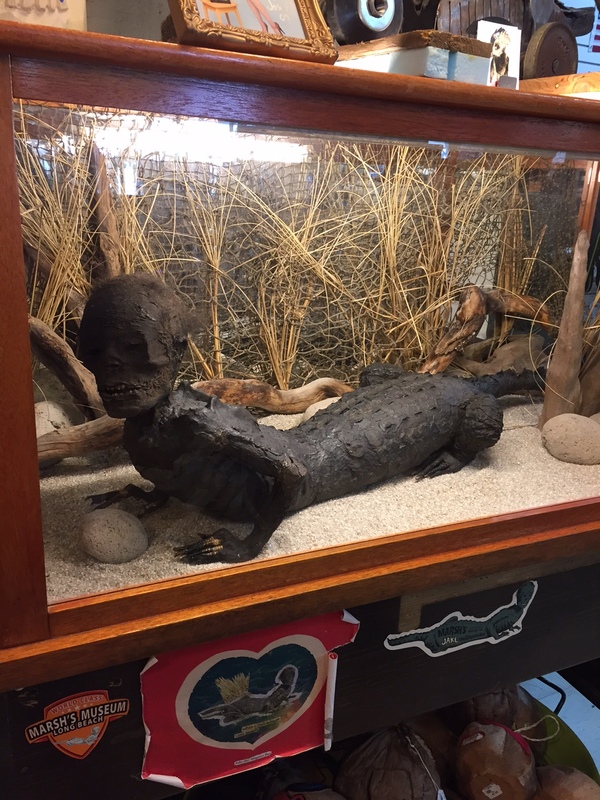 To read about the visit from another point of view, check out Marianne’s “Comedy of Errers” blog… in which she tries to maintain my anonymity, find a Bath & Body Works in a derelict shopping mall and continues her hunt for Simon Baker. She’s really pretty funny. Click HERE for it. If you haven’t heard yet, the Words in 3D conference is back. If you haven’t attended any of the sessions in the past, you may want to take a peek at what this conference has to offer. This is an inclusive conference that acts as a hub for three different branches of the literary arts: writing, editing and publishing. Coming from the writing side of this trifecta, I’ve quickly learned that all three of these aspects are braided together and (to carry this brutally clunky metaphor forward… thank-you Monday morning), knowing more about these three intertwined threads makes for a stronger rope. Writing is only a small part of writing. There’s a lot for everyone next weekend. There are workshops, breakout sessions, blue pencil meetings to get a second set of eyes on your work, and pitch sessions with agents.I’ll be in a panel session called “Alberta Novelists Make it Big” with the amazing Jacqueline Baker and Steena Holmes (Saturday, May 23 from 11:30pm-12:45pm). Come by and join the discussion! There’s still a few passes left for individual events and the weekend. Check out the events calendar here and find a session to that interests you! Words in 3D runs Friday May 22 through Sunday May 24th, 2015 and is hosted by the Chateau Lacombe Hotel, Edmonton. It’s been a few weeks since the last post. By no means does that mean things haven’t been happening… indeed, it’s the opposite. Here’s a bit of fun miscellany from the past few weeks. Seeing book covers from other countries is always a cool thing and even more thrilling when it is a book you wrote. 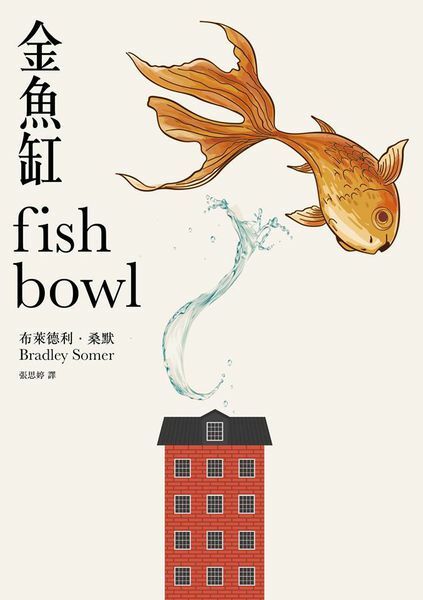 Here’s the latest cover image, the super-cool image from the Taiwanese edition of Fishbowl! Next up is a bit of news about the May 2nd, 2015, Authors for Indies Day. A big pat on the back to Janie Chang and the other generals who spearheaded the day. Also, a big hand shake to Leanne Shirtliffe (author of Don’t Lick the Minivan among other spectacular books) for teaming up with me to help organize Alberta authors and stores. The numbers are in and across the country, there were 692 authors in 123 stores who were hawking their favourite books and spinning around the bookstores trying to find the books they were recommending. From the stores and authors I have chatted with, it sounds like it was a fun/hilarious/successful event. And the numbers show it too! BookNet Canada sales stats: “Participating indie bookstores saw an 18.5% increase in units sold the week of May 2, when compared to an average of three weeks prior.” Not too shabby! Living the dream… this Saturday, May 2. What are you doing this Saturday? The sun is out and spring is here and I can’t think of a better thing to do than going and browsing in a local independent bookstore. Since childhood, I’ve had two “dream jobs”, those things I have to do before I die. My first “dream job” is working in a bookstore. On Saturday, the fine folks at Café Books in Canmore and Shelf Life in Calgary have been kind enough to make the dream a reality. Saturday, May 2nd, I’ll be in Café Books (826 8 St, Canmore, AB T1W 2B7,(403) 678-0908) between 11-2ish pm and in Shelf Life Books (1302 4 St SW, Calgary, AB T2R 0X8, (403) 265-1033) between 4-6pm. Rupert Thomson’s astounding Death of a Murderer and The Book of Revelation. For the Sci-Fi lover, I have James S.A. Corey’s amazing Expanse series. Looking for a hilarious read by a Canadian author? There’s Cassie Stocks’ Leacock winning Dance, Gladys, Dance. If none of these strike your fancy, we can chat and see if there’s a new author I can help you find. So, May 2, come on by and help me live one of my dream jobs… I’m going to be a bookseller! P.S. This is all in support of Authors for Indies! P.P.S. Oh, and the second “dream job” is driving a Greyhound bus around the continent… stay tuned for that one! A short while ago I had the pleasure of visiting San Francisco to chat with a few booksellers, take in the sights, do a reading at a literary salon and be interviewed by the wonderful Jody Smiling for The Rumpus. It couldn’t have been a better time wandering around that gorgeous city and chatting with some enthusiastic readers. The literary salon was organized by a Jody and hosted by a friend of hers (Doris, I think I’m in love. You are astounding!). It was well attended by an engaging audience. 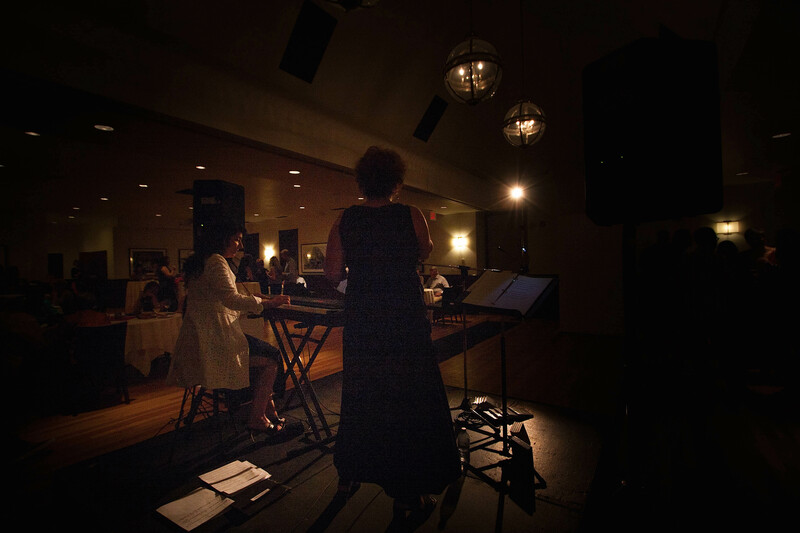 Musical accompaniment, a view of the bay and bridges as the sunset, and some delicious wine and nibbles rounded out one of those evenings that sticks with a person long after the door is closed and everyone goes off into the warm California night. Jody and I shared a lovely morning sitting on the steps of city hall talking about Fishbowl and the ins and outs of storytelling. A big thanks to Jody for an invigorating and intelligent interview (and for taking me off the beaten track to show me some of the sights of the city). The hospitality I experienced through the whole trip was second to none! Round it all off with a visit to the iconic City Lights Booksellers (a must see for any bibliophile for its literary history and selection of titles) and a ride on the cable cars; I can’t think of a better experience. San Francisco, simply put, is amazing. Welcome aboard to the Czech Republic! Yes, a few weeks ago the rights sold in the Czech Republic making this the 18th country and 6th region to join the Fishbowl. I’m continually thrilled to have such a warm reception for the upcoming book and look forward for more to come! Save the date! May 2nd, 2015 is the first ever Author’s for Indies day in this fine country! The idea is this… authors make a living writing books, booksellers make a living selling books, readers love reading books. So, put all of these things together and May 2nd will be a day local authors across the country head out of their writing hovels, blinking against the daylight, and into some spectacular bookstores. Their mission? Help sell books so we can all help keep these vital spaces alive and thrumming. Put the date in your daytimer, visit a local bookstore and chat with a local author. See which books they find scintillating and stimulating and maybe pick up a copy for your spring read. Actually, better yet, head to a local bookstore right now… and a few more times before May 2nd. In Alberta, I’ll be at Cafe Books in Canmore and Shelf Life in Calgary. To check out the full line up of events, regardless of where you are in Canada, check out this website: authorsforindies.com. Let’s make this year a success so we can do it all again next year! Booksellers are an amazing group of people who love talking about books, and bookstores and bookselling and more about books. The universal enthusiasm I encountered led me to the conclusion that every bookseller seems to be born to be a bookseller. Sleep is for the weak when there’s a full four days of lectures, events and socials. 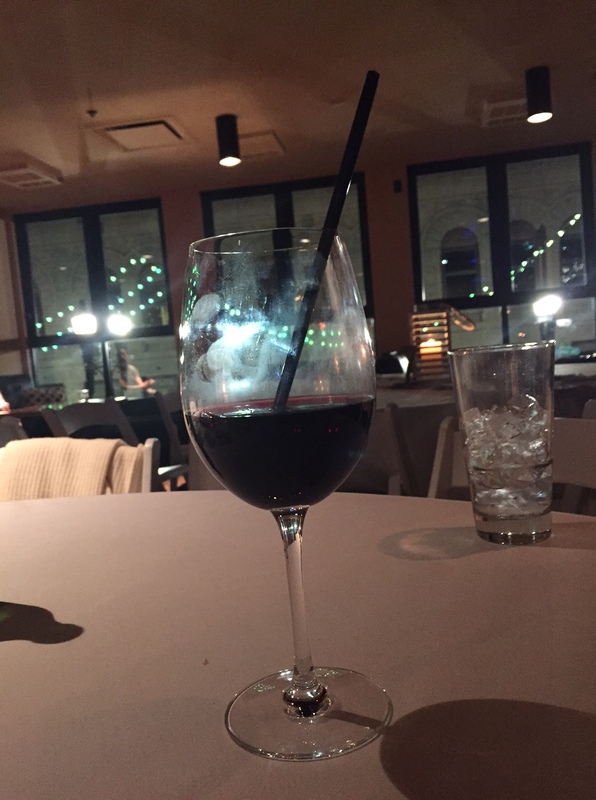 I think my role was one of the most fantastic jobs I’ve ever encountered… I got to hang out and eat and drink and chat with the fascinating folks noted in point 1. Even though point 2 was tough, it was all-okay because point 3 was so much fun. I talked with four booksellers who had recently opened or were soon to open their brand new, shiny indie bookstores! Point 3 and 4 made me happy. Anyhow, in the fashion of “The News,” I didn’t take one picture the whole weekend. Thankfully, the charming Ken Holland was there and armed with his phone so the photo credit is all his! 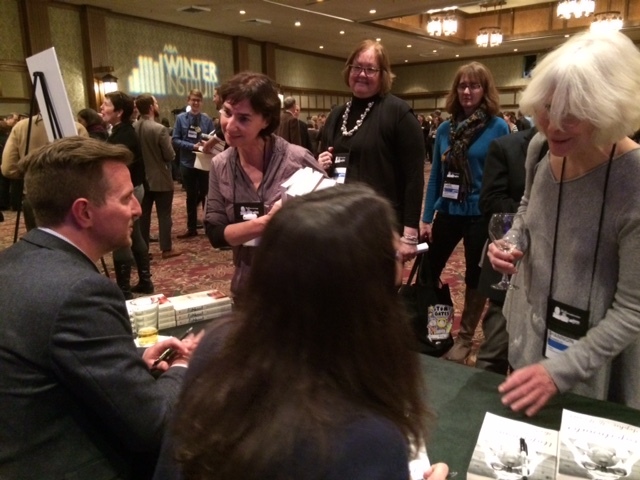 Here’s a shot from the book signing event. The fantastic James Iacobelli is the fella responsible for Fishbowl‘s lovely North American cover design. It’s just one of his many cover art contributions to the world. There’s a special talent required to capture the spirit of a novel in a single image and, I think, it requires a special brand of trippy synesthesia. The considerations are not solely aesthetic. The tone, imagery, themes and voice from the book all have to be considered and morphed into a universally appealing image as well. Of course, there’s the old adage “Never judge a book by its cover” but I think judging a book’s cover as an art form has been too long overlooked. To check out more of James Iacobelli’s beautiful work, click HERE. Once you’re done with that, check out this! The cover art for Fishbowl in action: full motion, full colour, surround sound, coming soon to a theatre near you… but I get carried away. It’s only because it is so fantastic! 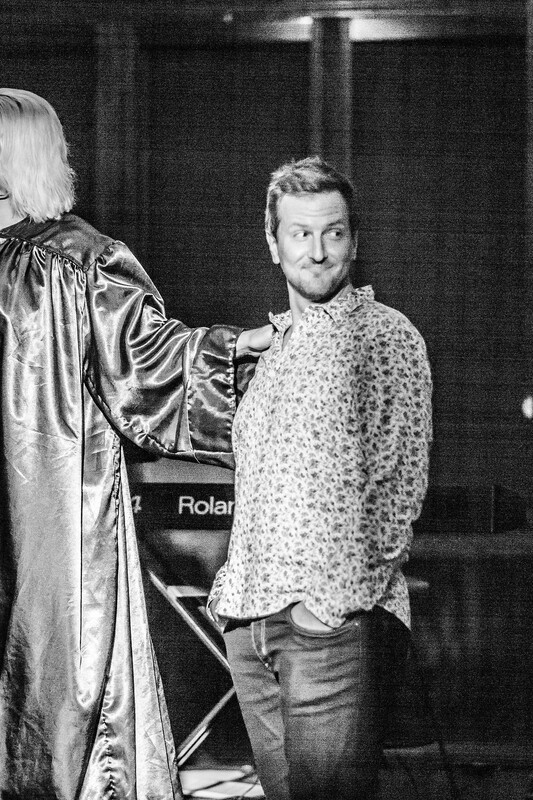 Here’s the teaser… enjoy! Happy Holidays to all! Here is some updated information on a few events I’ll be appearing at… From February 8-11th, 2015, I’m excited to be attending the American Bookseller’s Association “Winter Institute” in Asheville, North Carolina. Check out the details here. Peruse the attending authors here. This looks like it will be an outstanding event and I can’t wait to be a part of it! On Saturday, May 23rd, 2015 (11:30-1245), I’ll have the pleasure of being a panelist at the Writer’s Guild of Alberta’s “Words in 3D” conference. This is an outstanding conference on publishing, writing and editing and well worth attending. Check out the schedule here. Check out my session here. Hope to see you there!